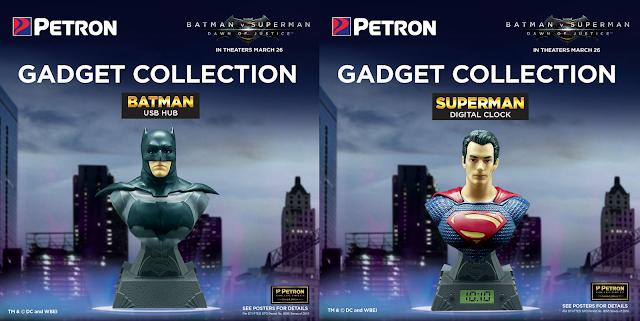 Petron Collectibles - Batman v Superman - Hello! Welcome to my blog! Here we go! Have always been a fan of gas station promos, not only are they of decent quality but I think they are a bit of a collectible. Coming this February 25, Petron will be revealing their newest promo, this time in partnership with the upcoming #BatmanvSuperman movie. The gadgets will be available in select Petron stations only. 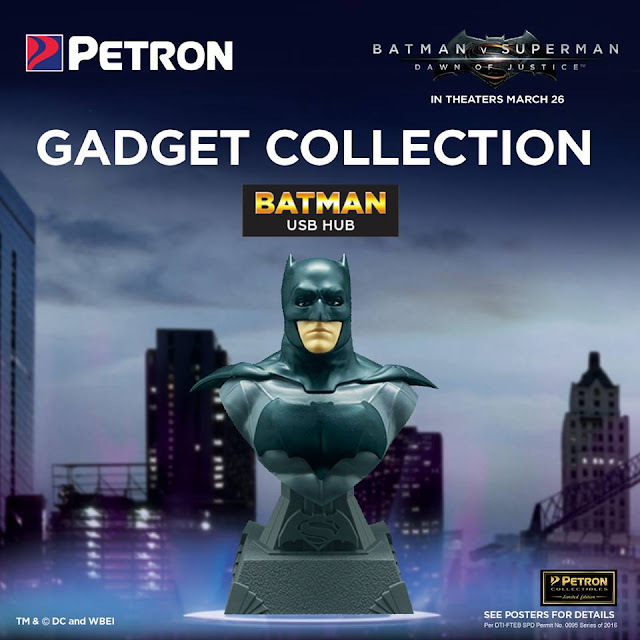 Batman will be a USB hub. I'm not sure what it will do or how useful the USB hub will be, or how many ports there is but if the quality is decent, it would be something that is nice to have on your work desk. People will now think you're cool. What I hope is that each gadget / toy is bigger that 6 inches. I don't mind paying a little premium for good quality busts. 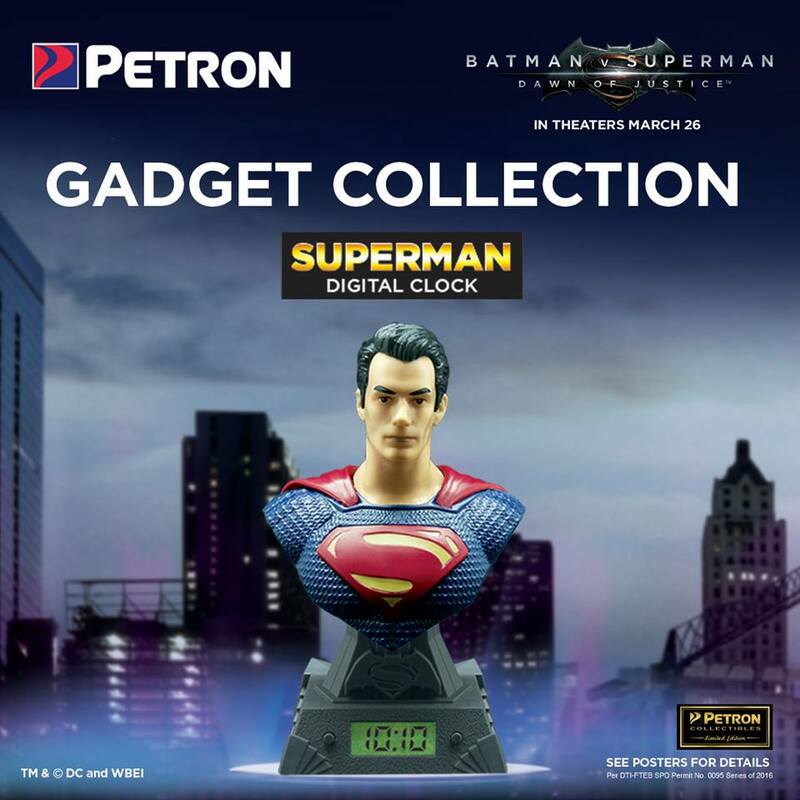 Petron has only released 2 designs for now, the Superman clock and the Batman USB. Who do you think the other 2 will be? 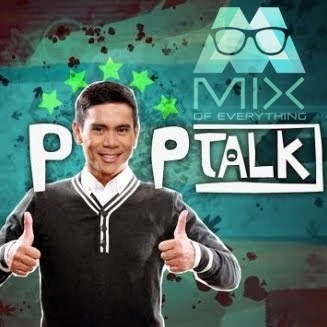 If you want to check out some of my Petron collectibles, check out the links below.